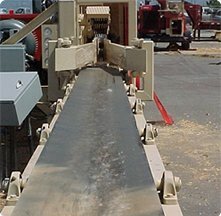 The 20′ x 12″ Infeed belt conveyor comes standard with our dowel mills. Logs are loaded on loading deck which lifts as necessary to load logs onto Stepfeeder. 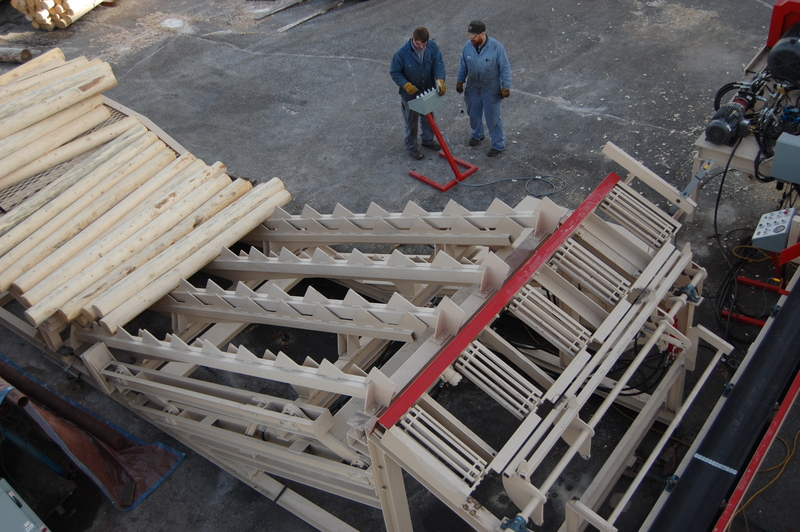 The Stepfeeder then moves the logs to the Even Ending Rollers. 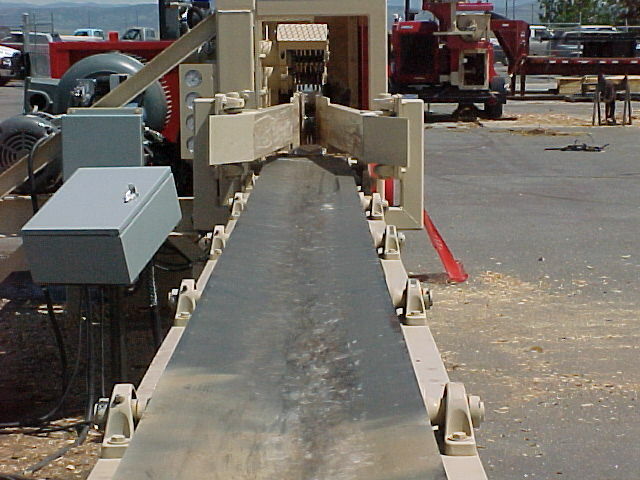 The Even Ending Rollers line up the ends of the logs so they are uniform. The Singulator then loads the logs one at a time onto the Infeed belt. 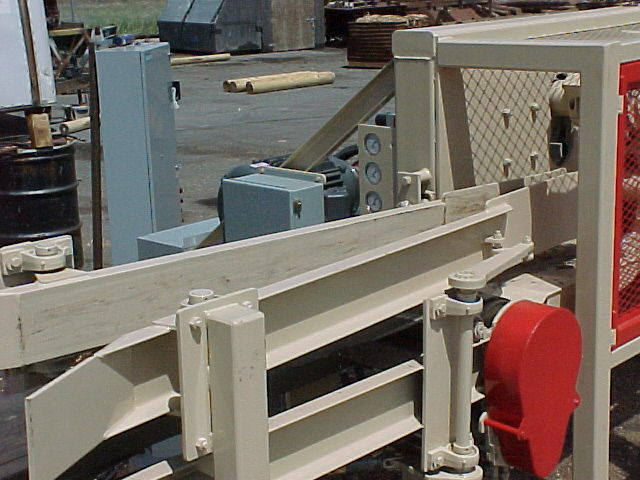 The infeed roller conveyor is similar to the standard belt conveyor, but this conveyor has tapered rollers. It is driven off the squeeze pump hydraulic circuit on the dowel mill.